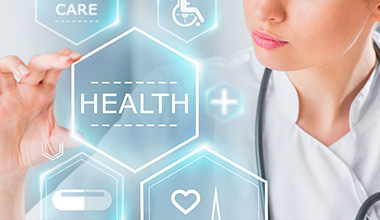 Georgia is often referred to as the health information technology (HIT) capital of the U.S. and is at the forefront of consumer digital health. There are more than 200 HIT companies in the state and that number is increasing rapidly. The eight metro Atlanta companies ranked among the top 100 in the nation by Healthcare Informatics Magazine have cumulative revenues totaling close to $5 billion. Growth in this sector is being driven by the vast assets of the region's numerous HIT corporations. served and supported by the diverse resources of Georgia's academic institutions and healthcare providers. Another vital component of the region's strength is the highly trained HIT workforce provided by internationally prominent universities, medical schools, technical colleges and other training programs. For more information about Georgia's Health IT community, please visit www.tagonline.org/chapters-and-societies/health. Click the image below to see all the great companies Where Georgia Leads in Health IT!